All Tourism Grant awardees must complete this form in its entirety. All figures must be accurate. Note: Secions B, C & D may be used for a survey to hand out to your participants and or audience to get accurate information. The figures in these sections must be accurate and represent an average of ALL attendees and participants of this project. Number of out-of-town people attending? Number of local people attending? Sporting event: Number of teams? Number of attendees (including players & staff per team)? How many lodging rooms were utilized each day? How many people stayed at a campground each day? How many people stayed with family or friends? 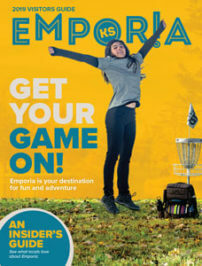 On an average, approximately how much did each person spend DAILY while in Emporia?